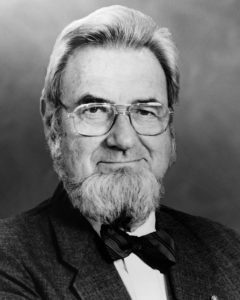 C. Everett Koop was the Surgeon General of the United States from 1981-1989, he served as the conscience of the nation as Americans changed their attitudes on the dangerous effects of smoking. Through his campaign, a healthier public environment has been created and 20 million Americans have given up the smoking habit. C. Everett Koop was sworn in as the 13th Surgeon General of the United States in 1981. As the chief public health officer in the U.S., Dr. Koop transformed his office into a mighty weapon for public education on smoking, AIDS (acquired immune deficiency syndrome), diet, and the health of children. Dr. Koop stood as the sentinel and the conscience of the nation as it turned an historic corner in the recognition of and response to the risks of individual smoking, passive smoking, and the AIDS epidemic. His frank stands and formal reports were unprecedented in their candor, explicit language, and advocacy of improved elementaryschool health education. As early as May 20, 1984, Dr. Koop announced his plan for a Smoke Free Society by the year 2000. His quest was consistent with the mix of idealism and pragmatism which he applied to all major public health issues he faced as Surgeon General. Persuaded by medical research that secondhand smoke had a dangerous effect on non-smokers, Dr. Koop advocated smokefree environments in the workplace, in restaurants, and in airplanes. He was instrumental in inspiring many changes in state and local laws affecting smoking in public places. When he tackled the subject of smoking in a 1986 report, Dr. Koop bluntly linked all forms of cigarette smoking to cancer, shed light on the addictive dangers of nicotine, condemned smoking as “the greatest killer and producer of premature deaths” in the United States, and exhorted physicians to accept a greater role in educating their patients about the hazards of smoking. He was the first national health official to publicly acknowledge that smoking cigarettes is linked to strokes, chronic lung diseases, and cancer in organs not related to the respiratory tract. C. Everett Koop presided over an era of fundamental change in the opinion of the American people about smoking especially the hazards of exposure to tobacco smoke in the environment. Through intensely personal leadership, Dr. Koop’s impact was catalytic on cleansing enclosed living environments. He claims the decrease in the number of smokers as his greatest accomplishment while in office. The number of American smokers dropped from 34% to 26% – almost 20 million people – during his tenure as Surgeon General. Dr. Koop was particularly critical of the tobacco industry for targeting young people as the next generation of “replacement smokers,” so he launched a campaign to inform children of the negative effects of smoking. AIDS provoked growing concern during 1986 as health authorities began to realize the full implications and international dimensions of the disease. The potential global consequences of the AIDS epidemic were officially recognized by the World Health Organization (WHO) in November, 1986, in an announcement which described the disease as “a health disaster of pandemic proportions.” The prospect that heterosexual transmission might become predominant outside of Africa could not be dismissed. In a report issued in 1986, Surgeon General Koop warned of the potential spread of AIDS beyond the already identified highrisk groups to the population at large. By mailing an informative pamphlet on AIDS to every American household, Dr. Koop gave most people their first comprehensive information in plain language about the disease. When he was sixteen at Dartmouth College, Koop decided to specialize in pediatric surgery because there were only five such physicians in the nation. After receiving his degree from Dartmouth, he graduated from Cornell Medical School, and pursued his Sc.D. at the Graduate School of Medicine at the University of Pennsylvania. In 1947, Dr. Koop joined the University of Pennsylvania Hospital as Assistant Surgeon. One year later he was named SurgeoninChief at the Children’s Hospital of Philadelphia, where he established the nation’s first neonatal intensive care unit. Upon his departure from his government post in 1989, Dr. Koop was given the Surgeon General’s Exemplary Service Medal and the Surgeon General’s Medallion. In 1990, the National Academy of Sciences presented Dr: Koop with its Public Welfare Medal, the Academy’s highest distinction, which carries with it honorary membership in the Academy. M.S. Swaminathan is one of the world’s preeminent agricultural scientists, his plant breeding programs have led to dramatically increased crop yields in India. His efforts to improve quality and quantity of crops have earned him the reputation as the scientific leader of the “Green Revolution” in Asia. 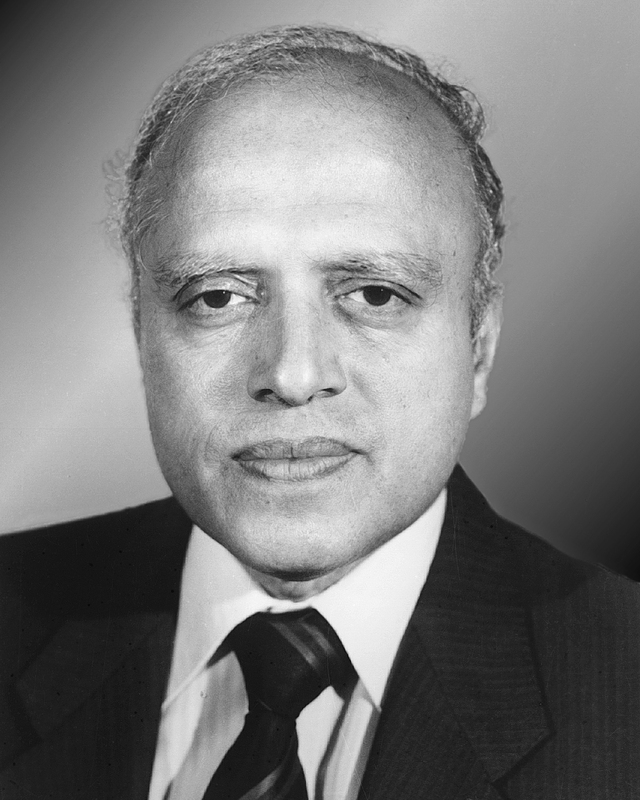 Dr. Swaminathan pioneered continuous advances in biological productivity. His search for genetic improvements in food species started at the Indian Agricultural Research Institute, New Delhi, in 1947. Combining genetics and applied botany, Dr. Swaminathan identified barriers to high yields in wheat and initiated the dwarf wheat breeding program. He improved the quality and stability of wheat, rice and potatoes. The yield per hectare of land in India tripled, earning him a reputation as the scientific leader of the “Green Revolution.” In 1964, Indian farmers produced 12 million metric tons of wheat from 14 million hectares of land; in 1990, the farmers produced 55 million metric tons of wheat from 23 million hectares of land. More than any other single individual, Dr. Swaminathan helped India overcome the largest food deficit in the world and create a selfsustaining nation. A world leader in environmental conservation, Dr. Swaminathan recognized very early in his career the need for the preservation of biological diversity. His doctoral work at Cambridge University focused on the Commonwealth potato collection; and, in 1952, he helped organize work at the Interregional Potato Introduction Station at Sturgeon Bay, Wisconsin. Returning to India, he started assembling genetic material for wheat and rice in 1954. This work led him to launch a plant collection expedition in Northeast India in the early 1960’s, in association with Drs. S.V S. Shastry, S.D. Sharma, and E.A. Siddiq, to assemble and preserve the many genotypes of wild rice that were threatened by the spread of shifting cultivation in the region. This assemblage of over 6000 strains, known internationally as the “Assam Rice Collection,” has proven to be a goldmine of genes resistant to rice pests and possessing other valuable economic traits. Extending his commitment to biological diversity, Dr. Swaminathan proposed the organization of the International Board for Plant Genetic Resources (known as the IBPGR) in 1971 and played a pivotal role in its creation. Later, during his tenure as Director General of the Indian Council of Agricultural Research, he established the National Bureau of Plant Genetic Resources for his homeland and later stimulated the development of similar National Bureaus for Animal and Fish Genetic Resources. Serving as Director General of the International Rice Research Institute in the Philippines from 1982 to 1988, Dr. Swaminathan reorganized the rice gene collection, retitled it the “International Rice Germplasm Center,” and launched an intensive drive for the collection and conservation of wild rices. More recently, he has organized a Community Biodiversity Conservation Movement in India; and, as Honorary Director of the Centre for Research on Sustainable Agricultural and Rural Development in Madras, he is organizing a Genetic Resources Center for Adaptation to Climate Change. This unique center will assemble species and strains possessing genes for tolerance to sea water intrusion as well as to flooding and drought, in anticipation of the possible longterm effects of global warming. Dr. Swaminathan just completed his terms as President of the International Union for the Conservation of Nature and Natural Resources (IUCN) and as President of the National Academy of Sciences of India. He continues as President of the World Wide Fund for Nature India (W WFI) and as President of the National Academy of Agricultural Sciences of India. In recognition of his great scholarly distinction, Dr. Swaminathan has been inducted into the Royal Society of the United Kingdom and the National Academies of Science in Bangladesh, China, Italy, Sweden, the United States, and the USSR. He also is a founding Fellow of the World Academy of Sciences.